What’s your after sun routine? Hopefully, you’ll be using something! We’re getting much better at protecting ourselves in the sun, but afterwards… not so much. Even if you rigidly stick to the Sun Care Code and routinely use an appropriate sunscreen, your skin will still feel the stress of being exposed to UV rays for a prolonged length of time and will need some TLC afterwards. People have varied approaches to sun exposure after care. My aunt, for example, makes her own aloe vera concoction from a plant she keeps in the kitchen. There is no right or wrong answer to your choice of after sun moisturising, as long as you use something to cool, soothe and repair the skin. We all know that UVA rays can age the skin, and UVB rays can burn (for a crash course, read our sun protection edit here). The effects of this have both immediate and long-term effects on the body – the skin can feel dry, tight and sore, and then will start to peel as the damaged skin comes away from the body. Eventually, repeated damage will manifest itself as age spots and areas of pigmentation later in life – or, as skin cancer. In order to meet the demands of the skin, after sun formulas have become more technologically advanced. Boasting cell protection complexes and powerfully soothing active ingredients, they not only aim to restore the moisture balance of the skin, but also kick-start the body’s own defences to prevent further damage. First on the list is this replenishing lotion from Clarins – Clarins offer many different after sun options in a range of textures, so they’re a great starting point if you’re looking for a targeted formula. For example, the After Sun Replenishing Moisture Care is specifically developed for the thinner, more delicate skin of the face and the décolleté. As well as the soothing effects of sunflower extract and the moisturising effects of watermelon and shea butter, the lotion works to repair UV damage and inhibit the effect of ageing free radicals. Add to that safflower extract which enhances the look of your natural tan, and you’re looking at a fantastic all-in-one product that, importantly, doesn’t feel too heavy on the skin. You can even wear your make-up on top. This formula from Bioderma is one of my all-time favourites, it smells so lovely! The texture of the milk is also very lightweight, making it an utter joy to use. As superficial as it sounds, lovely scents and textures are a key plus point for me with after suns – the more you enjoyable they are to use, the more I want to apply them and the better my skin will feels for it. 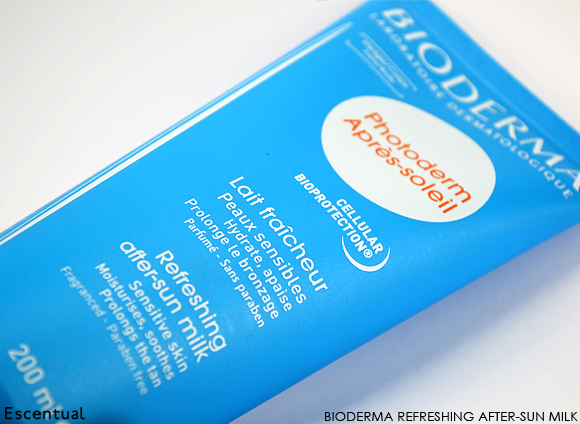 The Bioderma After Sun Milk features an exclusive patented Cellular BIOprotection® complex to protect the skin from cell damage, and its rehydrating ingredients help to prevent skin peeling. This hard-working offering from Vichy is such a treat, and the ideal formula for those who have given their skin a bit of a beating. It has a gorgeous balm texture, which is instantly comforting on the skin without feeling heavy. Created with epilobe extract, a powerfully soothing active ingredient, together with a lipid concentrate, it really sets to work on repairing the skin. Apply in a thick layer, settle in and let the super balm do it’s work. After 24 hours, it proposes to reduce redness and balance out the skin. Another Clarins product, and I’ve included this one because it has a pretty special added bonus – a small amount of gradual self tan. It provides all of the soothing and moisturising protection that you’d expect from an after sun, while deepening and prolonging the look of your natural tan. Its shea butter base makes the cream very, very comfortable to use. This formula is great for those who have only had mild exposure to the sun – the addition of self tanning agents means you’re likely to use this cream a little more carefully. If you’re slightly burnt or your skin is very uncomfortable, then you should opt for a formula that you can slather on quite thickly. If you’re really uncomfortable after being in the sun, then this lightweight gel formula is the one for you. 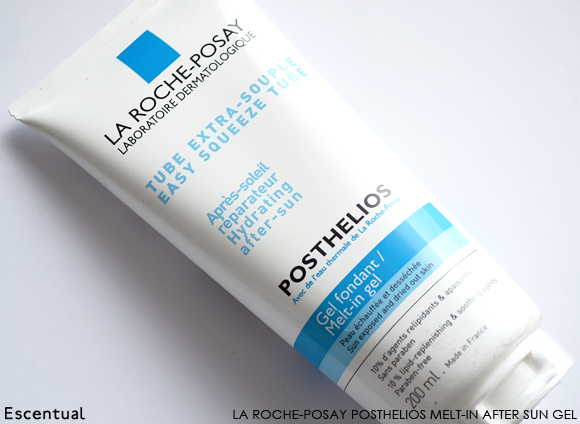 La Roche-Posay is a specialist in caring for intolerant skin, creating formulas that not only cool and soothe, but also work to repair the problem. This Melt-In Gel feels incredible on the skin (it really does melt in), and an impressive 10% of its formula is made up of lipid-replenishing ingredients. Pair this with skin-healing oils, shea butter and an infusion of the famous La Roche-Posay Thermal Spring Water, and you have decongested, plumped and comfortable skin. Plus, the massive 200ml size means that you can apply liberally and often. 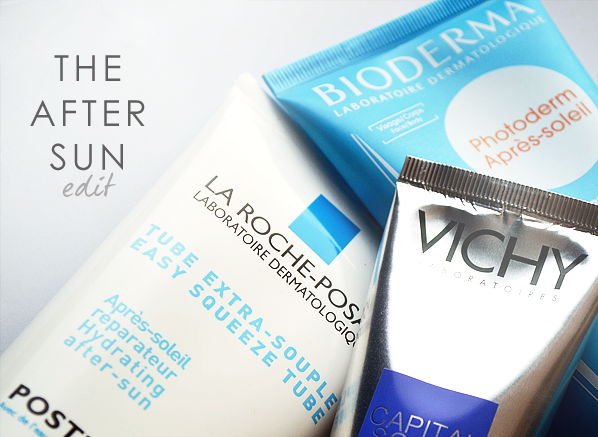 So there we have it, our top 5 formulas for hydrated and comfortable post-sun skin. Keep your chosen after sun (whether it’s a self-made aloe vera potion or a high-tech formula) in the fridge for added relief when you come home. Apply liberally and often to keep skin feeling comfortable, and make sure your shower water is temperate. If you’re really burnt, avoid the sun, cover up and let your skin recover – repeated burning can dramatically increase your risk of sun cancer. Be sun safe! This cream is really the best thing I have ever used, especially for the face, when I have caught the sun. Within a day the skin settles, the redness goes and it is so soothing when it is put on. It was recommended to me by a Spanish pharmacist and it certainly is the best product for mild sunburn (good when ski-ing too). I used to have to wait to buy it in France or Spain but now thanks to Escentual I can get it here in the UK. 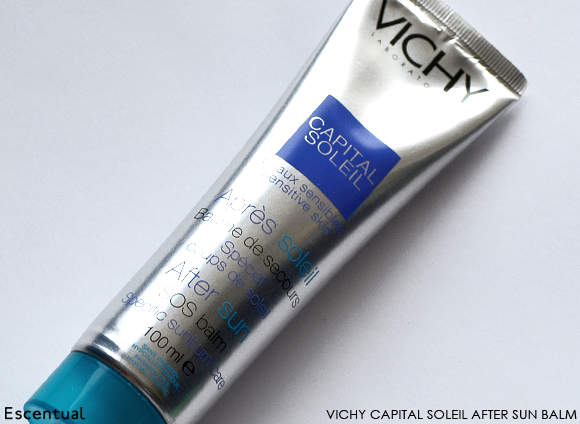 There are many other great Vichy products as well. This entry was posted on Thursday, July 18th, 2013 at 2:31 pm and is filed under Hints & Tips, Skincare, Special Post, Sun and Tanning. You can follow any responses to this entry through the RSS 2.0 feed. You can skip to the end and leave a response. Pinging is currently not allowed.